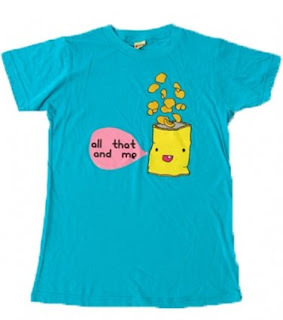 A tee so cute, I could just eat it up! Another gem from Loyal Army Clothing. I have a friend who uses this phrase all the time. Some of us are still big kids who get excited by the appearance of a bag of chips (preferably salt & vinegar, please & thank you).